A medium to tall growing very pretty tree that has masses of red and bright pink flowers in Spring. 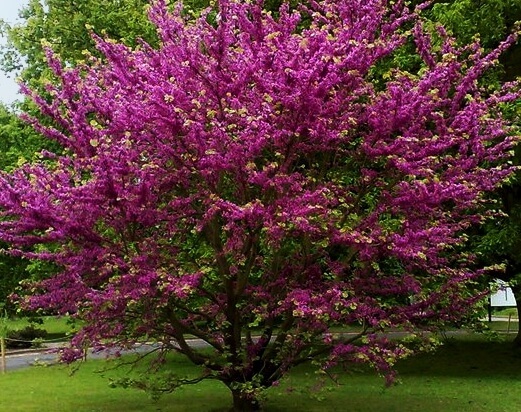 The Judas tree produces an attractive deep pink flower, including the trunk in late spring. The leaves appear shortly after the first flowers emerge. Best grown in a sunny position in well drained, fertile soil. Will benefit from deep watering during dry weather and an application of fertiliser early in the growing season. Ornamental tree for gardens and parks.